Several months back I was restoring some old hardware that was in our house. Some portions of them had rust and others had several coats of paint on them. It is a tedious process of wire brushing and scraping, but with time and patience they all come completely clean and then are ready for a fresh coat of paint. This reminded me of my faith walk with Jesus. I get through the day and inevitably I collect junk of this world, whether it be some cynicism, self doubt, or even the simple negative thought. I, as a follower and believer in Christ have to be willing to be stripped of all that junk and allow him to fill me with the Holy Spirit, let go of control and give it to Him. I struggle with many parts of this process, but often find that when I surround myself with fellow believers His will overcomes all of my struggles. I especially feel this balance when I am worshipping or in fellowship with our current group of congregants at our little Church in Mars. We, as a congregation, are going through some pretty heavy stuff right now; decisions that will affect our community and our future of worship. But, I am looking up, along with my fellow followers and believers. In some of my previous Church Adventure posts I mentioned a few things, in short, to describe this campus. The building was mentioned in my description to set the story. But, the real part was that we felt comfortable and that comfort level had us returning for more. God led the four of us to be all in and to join this little Church in Mars. This was no accident. This was purposefully and perfectly orchestrated by God himself through God-led people. It had little to do with the "Building". Don't get me wrong, it has some great acoustics and great character for a worship setting. And yes, the Holy Spirit fills that space every Saturday night as we focus on Him through worship. But, it is still just a building. This wonderful event of worship, fellowship, and God-led relationships can happen anywhere. Our Church has no walls, it's built of people! He designed it this way. The great thing about the Holy Spirit, is that it has no limits. It will not be contained by walls. As of August 25th, the parent church of our little church will no longer be supporting a multi-site ministry. Which means, that the Mars Campus will be closing. We, as a family, will be distancing ourselves from this particular Church as it has quite a different view on what a church should look and operate like. Its boards, and committees have unfortunately centered their focus on the wrong things, and have brought heartache in their wake. Please hear this; there are good people at the parent campus, and these fine people of God are not being listened to by leadership. Many of them, I fear, are just so busy checking their boxes on Sunday morning or just have their head so far stuck in the sand, that they can't hear the cries of their people. I have been praying for the parent "Church"; that the leadership will someday hear the God-led people and stand up and make sure that God's agenda is pursued instead of man’s. 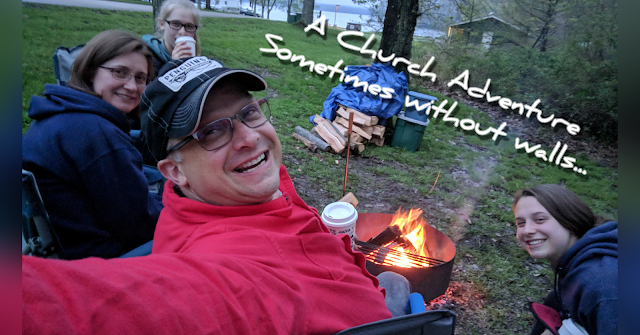 Sunday mornings are not supposed to feel like a country club, and until they understand that and start listening and looking for God's lead, they will just be turning their wheels within their own walls. Our group at the Mars Campus have had a few things to consider, as things have been winding down. We are now at a point of figuring out where we will go next. I do believe, that this adversity has strengthened our relationships as a worshiping body of Christ. It would be amazing if we could all end up in the same place, to worship again together. I also know that if we can't continue what we have been blessed with, I will never forget the relationships that we have developed with God's intentions. With God's direction, we have had several opportunities to visit some local churches, and even to discuss what we have gone through during this painful process. I know that we all have been very grateful. It is refreshing for me to just get things off of my chest when things are feeling negative. These past months have been, at times, exhausting. But, at the same time, I think we have all come to the agreement that we may not know what the future holds for us, but if we strip off all of this junk that we have been collecting (especially through this process) and allow Him to fill us with the Holy Spirit once again, in His hands we will all prevail to come closer to Him, and to spread the Good News.